3 Healthy Aging Tips to Live by from Association Insurance Services, Inc. There are millions of products on the market advertised to fight aging. Everyday ads tout reduced wrinkles, joint support, and anti-aging benefits. Aging isn’t really such a bad thing. Wisdom and experience come with age. Getting older means you were fortunate enough to live a long life. Yes, aches and pains are reality and health issues can begin to crop up. There are some simple things you can do to help you age gracefully and healthfully. September is Healthy Aging month, the perfect time to incorporate healthful practices that will keep you healthier longer. What you eat has been known to be essential to overall health for some time now. As we get older, nutrition and a balanced diet are even more important. A diet rich in fruits and vegetables, lean protein, limited fat and cholesterol as well as plenty of fiber is a good place to start. Along the same lines, a balanced diet can help maintain a healthy weight. 80% of weight loss has to do with what you eat. Many diseases have increased risks with being overweight. Maintaining a healthy weight is good for your heart and other internal organs. In addition, less weight on certain joints, like hips, knees and ankles can stave off fractures. It can reduce aches, pains and help maintain mobility. Healthy aging isn’t really a right; it’s more of a privilege. Exercise is something that can keep us young in many ways. There is no denying that exercise is essential to staying healthy. As we age, it can be more difficult to move. Maintaining an exercise routine, such as walking, can keep you active while reaping the many benefits that go along with it. Exercise can help maintain a healthy weight. It can stave off high blood pressure. It can keep your joints and muscles strong. It can also provide wonderful social interactions when you exercise with a friend. 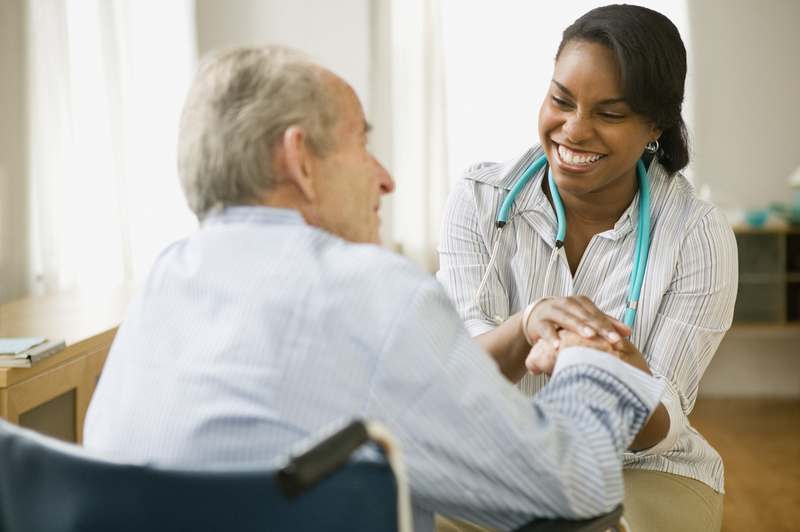 Seeing your doctor regularly is extremely important as we age. Having a doctor that sees you consistently can help catch any changes in your health quickly. A yearly physical is a must. And don’t hesitate to make an appointment if issues arise. Identifying health problems early can greatly increase the chance of successful treatment. Healthy Aging takes effort. If you haven’t taken care of your health in your youth, then now is a great time to start. Enjoying your later years is a wonderful gift. Being there with family and friends, feeling your best is worth all the efforts you make to age healthfully.